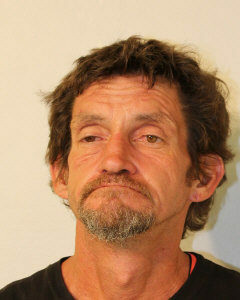 Donald Linn McKay has been reported as missing from the Kohala Hospital area. He is a 69-year-old Caucasian male described as 5-feet-7-inches tall, weighing 150 pounds with white hair and a short white beard. He was last seen wearing a black hat, blue jacket, blue jeans and a multi-colored aloha shirt. If you have information to regarding the location of McKay, call the police non-emergency number: (808) 935-3311. The Hawaiʻi Island Police Department is asking for the public’s assistance in locating Krystina Marie Crume who has been reported as missing. She was last seen in Pāhoa. She is described as being 5-feet-8-inches, 200 pounds, with brown eyes and black hair. If you have information on her whereabouts please contact the police department’s non-emergency number at (808) 935-3311. The Hawaii Island Police Department has reported that Walbert LeeLoy is missing. 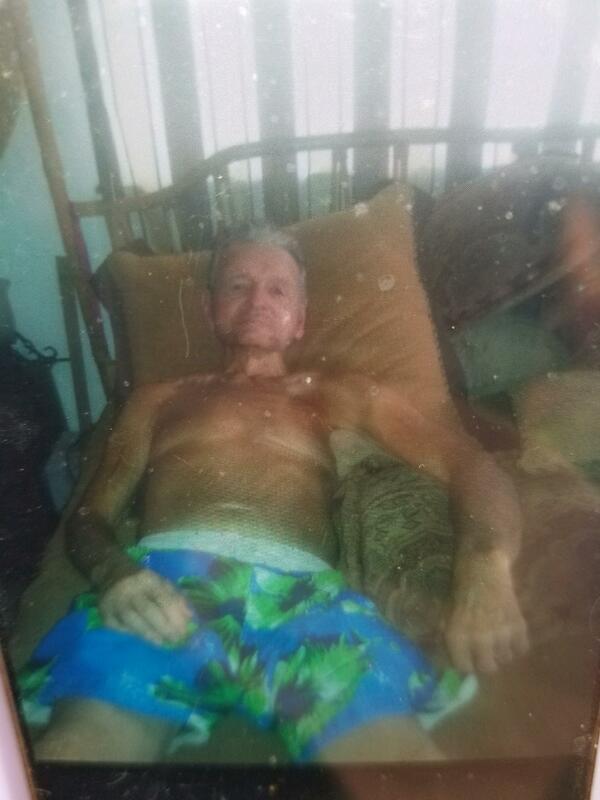 He is described as a 62 year-old Hawaiian male, 5’10”, 190 lbs, brown eyes, grey hair and has a tan complexion. He as last seen wearing a blue shirt and blue jeans. LeeLoy was last seen at his Hilo residence on Friday, December 22, 2017 at about 6:30 pm. 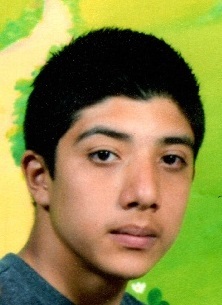 Hawai’i Island Police are searching for a 16-year-old Keaʻau boy who was reported missing. Ashton-Gage Demorales-Moniz was last seen in Keaʻau on Oct. 2, 2017. 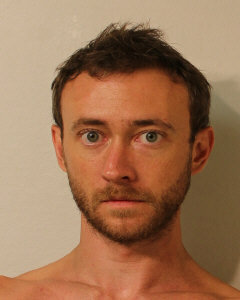 He is described approximately 5-feet 5-inches tall, weighing 120 pounds, with short brown hair and blue eyes. Police ask anyone with any information on his whereabouts to call the police department’s non-emergency line at (808) 935-3311. Update: Hawai’i Island Police have located Heather Rose Brooks who was reported missing earlier this afternoon (November 4). She was located in good condition in Kailua-Kona. Hawaiʻi Island police are searching for a 35-year-old Puna woman who has been reported as missing. 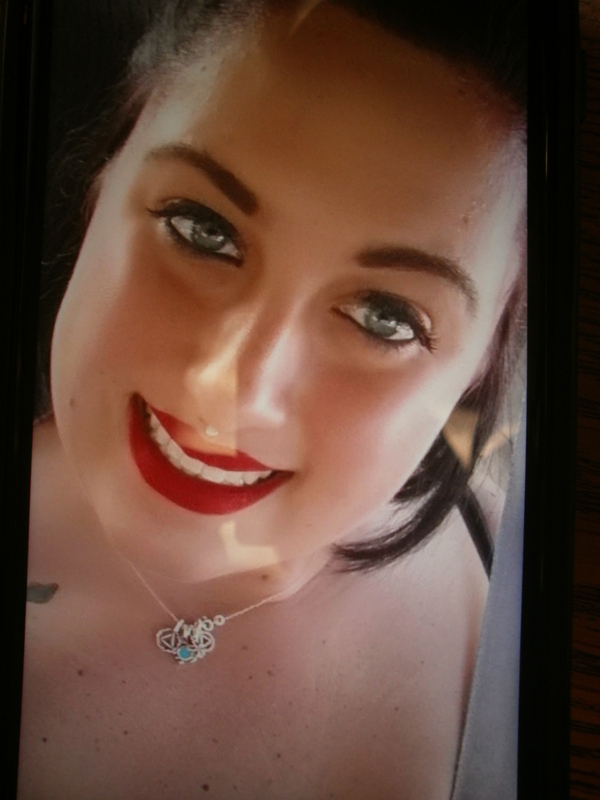 Heather Rose Brooks was last seen in the Pāhoa area (October 21). She is described as Caucasian, 5-foot-6, 130 pounds, has a thin build, brown eyes, and dark hair. She is known to wear bright colored wigs, has facial piercings, and sometimes speaks with a British accent. She also suffers from a medical condition and requires medication. Police ask anyone with information on her whereabouts to call Officer Shawn Ibarra at the Kau Police Station at (808) 939-2520 or the Police Department’s non-emergency line at (808) 935-3311. Tipsters who prefer to remain anonymous may call the island-wide Crime Stoppers number at (808) 961-8300. All Crime Stoppers information is kept confidential. UPDATE: Hawaiʻi Island police have located Sadie Ditus who was reported as missing earlier today (October 9). She was found in good condition in Hilo at 11:00 a.m.
Hawaiʻi Island police are searching for a 27-year-old Puna woman reported as missing. Sadie Ditus, was last seen in Hilo (October 3). She is 5-feet-8-inches, 115 pounds, thin build, pale complexion, with blue eyes and shoulder-length curly light-brown hair. She is known to frequent and lives in the Pāhoa area. Police ask anyone with information on her whereabouts to call Officer Terrance Scanlan at the Puna Police Station (808) 965-2716 or the Police Department’s non-emergency line at (808) 935-3311. UPDATE: Hawaiʻi Island police have located Robert McNabb who was reported missing, (October 5). He was found in good condition earlier today (October 9). Hawaiʻi Island police are seeking the public’s assistance in locating a 65-year-old missing man. Robert R. McNabb was last seen in the Hilo area on October 5, 2017. He is described as part Hawaiian, 5’ 10”, 145 lbs, grey shoulder length hair, brown eyes, tan complexion, he was last seen wearing black colored jean pants and a black short sleeve shirt, carrying a back pack. Police ask anyone with information on her whereabouts to call Detective Kayne Kelii at (808) 961-2378 or the Police Department’s non-emergency line at (808) 935-3311. Tipsters who prefer to remain anonymous may call the islandwide Crime Stoppers number at (808) 961-8300. Hawaiʻi Island police are seeking the public’s assistance in locating a 43-year-old missing woman. Colleen Pabre was last seen in the Keaʻau area in (August 2017). 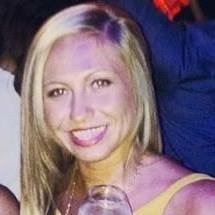 She is described as Caucasian, 5-feet-9-inches, 150 pounds with blond hair and blue eyes. She has been known to reside in the Puna district. Police ask anyone with information on her whereabouts to call Officer Sean Phelan at (808) 961-2213 or the Police Department’s non-emergency line at (808) 935-3311. Hawaiʻi Island police are seeking the public’s assistance in locating a 35-year-old missing woman. 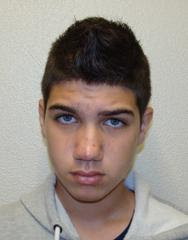 Parker Godwin was last seen in the Kalapana area on (August 6). She is described as Caucasian, 5-feet-10-inches, 145 pounds, brown shoulder length hair, blue eyes and a “Led Zeppelin” tattoo on her lower back. She primarily resides in the Hilo district. Police ask anyone with information on her whereabouts to call Officer Robert Keffer at (808) 965-2716 or the Police Department’s non-emergency line at (808) 935-3311. The Coast Guard rescued six people from a 27-foot vessel taking on water off Maui, Saturday. Coast Guard Station Maui launched a 45-foot Response Boat-Medium and arrived on scene at 3:10 p.m. took the Makali’i in a stern tow and the crew aboard. They were safely towed to Kihei boat ramp where a post search and rescue boarding revealed no violations. Watchstanders at the Coast Guard Sector Honolulu command center received a report via VHF radio channel 16 from the master of the vessel around 1:30 p.m. The master reported they were taking on water at an unknown rate and the Makali’i’s crew was bailing water by hand in addition to the on board dewatering pumps. The water level was neither increasing nor decreasing. Sector Honolulu issued an urgent marine information broadcast notice to mariners and directed the launch of the Station Maui RB-M.
On scene weather was reported as east winds approximately 11 mph with waves less than one-foot . 9/7/17 UPDATE: Hawaiʻi Island police have located 32-year-old Luci Palik of Hilo, who was reported missing. She was found unharmed in the Puna area on Wednesday (September 6). Hawai’i Island police are searching for a 32-year-old Hilo woman who was reported missing. Luci Palik was last seen on Tuesday (August 29), at about 1:00 p.m., in Hilo. She is described as Micronesian about 5-feet-five, 140 pounds with brown eyes, shoulder length brown hair and a medium complexion wearing a gray shirt and blue jeans pants. She may be in the Hilo or Puna area. Anyone with information on her whereabouts is asked to call the Police Department’s non-emergency line at (808) 935-3311. The Coast Guard suspended the active search at noon Monday for five Army aviators who went missing Tuesday night approximately two miles west of Ka’ena Point. On-scene assets searched a total cumulative area of more than 72,575 sq. nautical miles (96,110 sq. statute miles) in more than 132 separate searches. The search area began off of Ka’ena Point, Oahu, but extended west beyond Kauai and Ni’ihau based on drift models. The safety zone remains in effect extending out in a five nautical mile (5.75 statute miles) radius from the point 21-27.919N 158-21.547W, geographically located roughly two miles northwest of Ka’ena Point, established by the Coast Guard Captain of the Port Wednesday. No vessels or persons are authorized to enter this zone without prior approval from the Captain of the Port. A broadcast notice to mariners has been issued. Ka’ena State Park trails remain closed at this time.